If you don’t like the idea of working from home, or if your home is not a suitable place to work from, there are thousands of offices to rent in London. So how do you choose the right office space for you and your business. To make that decision and search easier we’ve put together a curated list of 17 top offices spaces in the capital. The list aims to cover the major individual office space providers for small businesses and startups looking to base themselves in London (with as much detail on each space as possible). Google Campus is located on Bonhill St., near Silicon Roundabout. It is well-known for its events space and working space. It’s a creative hub for tech companies around East London. Google runs an education programme and 1-1 office hours for start-up advice. Price: Various initiatives such as Techhub within the campus, where you can rent space and find prices. The Hoxton Mix Office Space is devoted to offering office spaces for the entrepreneurs dealing with different kinds of businesses. It intends to promote start-ups, to help them acquire a valuable space in the heart of Tech City. 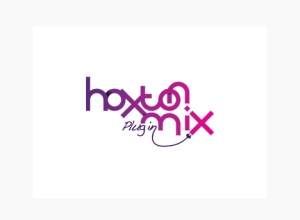 The Hoxton Mix Office Space offers you with private business units and desks. The desks come with a storage cabinet and a phone service. Virtual business spaces are also available to establish your business in the heart of tech hub, without spending much money. Location: The offices are situated in Bonhill, Paul Street and Old Street. Price: You will be required to pay £275 monthly for a desk and only £12 monthly for virtual office space. 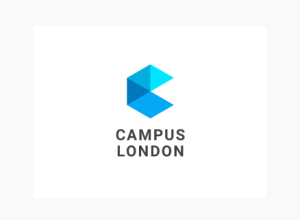 Contact: You can contact the team, to reserve your office in London Tech Hub, here. 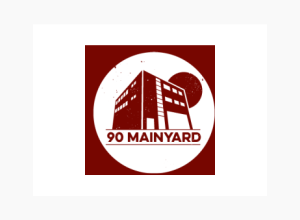 90 Main Yard is a place is for organisations with up to 4 employees maximum and a mixture of new and already established organisation and freelancers. There is no restriction on the type of industry of the business. Innovation at 90 Main Yard is home to like-minded innovators. 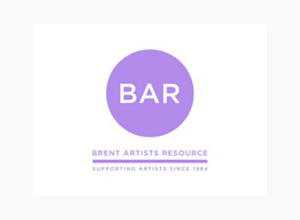 They like to organise and create an opportunity for all to interact with one another including animation sessions, workshops and community events. Price: £200 per month with a permanent membership and £100 per month with an Ad-hoc membership. Contact: The contact details are provided on their website. 639 is a visionary new space for business, employment and volunteering in the heart of Tottenham. The 639 building has been developed as a centre to help local people to get started on businesses and gain work skills. Described as the most exciting place to be in North London, the building has some fantastic features for the local community to use. The 639 building has been developed as a centre to help local people get started in business and gain employment skills. Price: £1 an hour, £5 a day and £30 a month. Contact: You can contact them at the following link. Bar lab offers almost everything you need to start a business or run a project. Their coworking space is inspiring and friendly, bringing together a community of entrepreneurs, freelancers and professionals. They offer free coworking desks and also have a place available for hiring a meeting, workshop, event, screening, exhibition or anything else. Contact: Contact service provider at the address provided. The Bootstrap company is primarily aimed at individuals and small start-ups. The environment happens to very relaxed but is the nonetheless productive. The open plan nature offers network and trade that is valuable for start-ups. They provide internet wired and wireless services, light and heat, water charges, overnight on-site security and CCTV, reception and parcel signing and cleaning of common parts. Price: £290 per month excluding VAT. Club workspace is a coworking space in the heart of an existing business estate in the south of London near the Oval Cricket Ground. It is made up of 11 old buildings converted to a high modern standard. The place offers CCTV and locker facilities, high-speed broadband and there is also a gym located in the complex. Price: There is a range of membership packages, £98 introductory promotion valid for a month, three days per week £200 and full access from £300 per month. 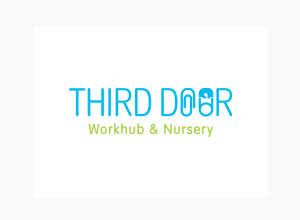 The Third Door is a combined work hub and nursery. Monthly packages include meeting room use ( up to 10 people), office use and printing. For tech startups and small businesses looking for an office. Price: They have a wide variety of prices, £5 per hour/£25 per day, pay as you go, and a £100 membership fee. Clubrooms is part of Paddington stations itself and built in 1854 with an entrance from platform 1. It consists of a large lounge, working areas and quiet working area backed up with focus booths and seven further meeting rooms. Drop in workplaces, lounges, meeting rooms, business address, mail handling and call handling. Costs: Homeroom – £250 per month for 1 club room location and every room £300 per month for access to all 4 clubrooms. Virtual £10 per month available at 13 locations. The Hatch was Established in early 2014, the hatch is a working space that is dedicated to helping tech start-ups grown in a relaxed and creative environment. It boasts excellent transport links to central London and is surrounded by an array of local amenities. The Hatch interior design has been handcrafted to create a modern, minimal and social environment. Co-Work City offers business space to small companies and businesses. They are 2 minutes away to Manion House tube station, 5 minutes to tube station and private office. Prices include desk, chair, a lockable storage unit in desk, coffee and tea, meeting rooms with video conferencing facilities and printing, copying and scanning. Cost: £149 excluding VAT per desk per week. Contact: You can contact them by going through the following link. 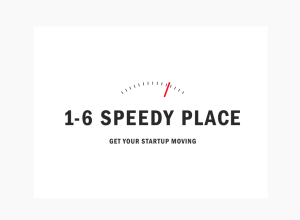 1-6 speedy place aims to support needs of building entrepreneurs. Offering an affordable, quiet and well-located space where they can focus only on their work and meet other people like them. The office includes Wifi, all bills, conference room and a small kitchenette with microwave. Cost: £160 + VAT with a 3-month contract and 1-month notice period. Contact: You can contact them through the following link. Innovation Warehouse is a Tech City coworking accelerator in Farringdon with a lively community, angel investment for high growth and high impact startups, mentoring and events. Innovation Warehouse is proud to be known by the successful startups and variety of angel investors that are based in the space. Members are actively mentored and encouraged to innovate and grow. Innovation Warehouse is the perfect place to grow. Cost: Charges depend on membership option, please contact service provider. Contact: You can contact them here. 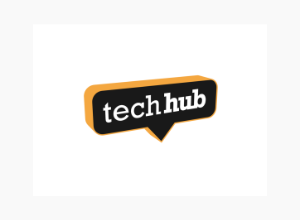 TechHub is a unique environment where technology start-ups can launch them faster and efficiently. They claim to provide a nurturing environment. Work alongside like-minded people who understand the problems you come up against and help you with immediate solutions. Cost: £275+VAT for designated desk per month, £375 +VAT for use of drop in area per year and £7.50+ VAT per sq ft. Contact: You can contact them on their website. 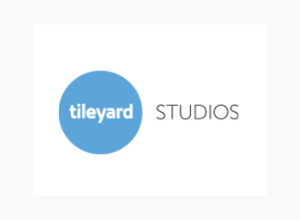 Tileyard Studios, situated in London Kings Cross Central, is gaining recognition as being the newest and most important creative hub in Europe. Tileyard is a permanent home to industries top names and is very much a place for creative businesses. They provide separate parking spaces, super fast fibre optic broadband and is fully secured and 24 hours monitored through CCTV. Contact: You can contact them through their website. 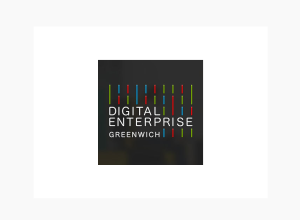 Digital Enterprise Greenwich provides office spaces to tech companies and different kind of businesses. They provide fully serviced office space and for digital businesses across the top two floors of 13 storey building. The space is a mix of open plan hot desking and cellular offices. Price: £450 per working station per month which includes Wi-Fi, refreshments, 2 hour meeting room time per week. Contact: The contact details are provided on their website in the following link. Have no fear, check out our guide below to the different kinds of office space available and relative advantages and disadvantages of each to help you better understand what you’re looking for. A serviced office provides you with office space complete with furniture, phones, broadband and receptionists, and you can be up and running within 24 hours. Serviced offices require more commitment than shared office space, but they are still far more flexible than taking on premises of your own. Some providers such as Regus (regus.co.uk) offer the option of offices on a full-time or part-time basis, short term or long term, plus additional services such as telephone answering and mail handling. Looks professional; you can rent meeting rooms by the day to see clients; is usually easy to upgrade to a bigger office as your business grows. Can work out expensive in the long term; serviced offices can be bland and lack individuality or character. If you like to have the buzz of other people around you, why not rent a desk in a shared office space. At Le Bureau in Battersea, South London for example, you can rent a desk for £99 a week, with a minimum term of a month. The only other thing you pay for is the cost of phone calls. Far cheaper and more flexible than renting an office of your own, much more sociable than sitting at home alone. Outside London, it will be even cheaper for a similar arrangement. The chance to network with like-minded entrepreneurs; provides a structure to your working day. The cost compared to working from home; lack of privacy. If you know someone with space to space, why not ask if you can borrow a desk for a few months. They get a bit of income; you get a bit of company and possibly some inspiration. The sociability; feeling part of something bigger. You may not have friends with offices and desks to spare in them. Six months after starting up his business Exposure, a communications agency, from his flat in West London, Raoul Shah was so lonely working on his own that he rented a desk in the corner of a friends’ design agency in central London. Even though the two businesses were not in the same industry, he was overjoyed to be part of a stimulating office environment again. An incubator is a free or low-cost, supportive environment designed to help and encourage new businesses to thrive. They are usually set up for a specific industry – the mobile phone company Telefonica, for example, has established incubators in several cities for fledgeling tech firms. Entrepreneurs who are accepted onto the Wayra programme receive free workspace, training and support for a year, in return for Telefonica taking a small equity stake in their venture. Inexpensive; surrounded by like-minded people to discuss ideas with; access to shared resources. Some, although not all, incubators require you to give up a stake in your business in return for the assistance provided. The past few years have seen a surge in the number of co-operatives which have been formed by entrepreneurs and small start-ups with the aim of cutting overheads by sharing rent, equipment and expertise. Known as co-operative consortia, they work in the same egalitarian way as other co-ops, such as housing and community groups, with all members sharing the benefits, but the emphasis is squarely on the bottom line. Co-operative members can swap skills too and work on projects together. Problems can arise if members disagree on issues; collective decision-making can be slow and time-consuming. The Open Space co-operative in Manchester was set up by six individuals wanting a better deal on renting offices. Since 2008 the members, including a web designer, an online marketing company and a political cartoonist, have been renting a former workshop in Hulme, each paying only £100 a month for a desk with a telephone and internet access. The group, which has grown to 12 people, has also discovered the benefits of sharing skills. Work from other people’s houses or offices instead of your own. If you are providing consultancy work or IT support, for example, it makes sense for the client to provide you with a desk in their office while you work on the project. This arrangement can even work for ventures which have traditionally needed premises of their own – mobile hairdressers can cut hair in the customers’ home and do away with the need for a bricks and mortar salon. Minimal outlay; being in constant close contact with clients means they are likely to put more work your way. It can be exhausting to constantly travel to new places and always work in other people’s working environments; lack of privacy. We haven’t covered list in the list above but a growing number of entrepreneurs who need space to stock their stock have discovered that self-storage units are great places from which to run a small business. It is not hard to see the appeal – in return for a rental fee payable by the month you get 24-hour access and round-the-clock security, there are trolleys on hand to move stock around, and deliveries can be left in reception. Storage sizes range from a lock-up box the size of a washing machine to a 5,000-sq-ft warehouse. Indeed some self-storage operators such as Access Self Storage (accessstorage.co.uk) now provide offices to rent by the month on the same sites as their storage units. Offices can be rented for a minimum of one month, and the price includes business rates, heating, lighting and service charges. Lots of space and included support; easy to add more space as you need it. The set-up works best for wholesale and online businesses — retailers are not permitted to trade from the sites. Chris Beattie runs his environmentally friendly courier service, WEGO couriers, from an Access self-storage unit in the centre of Nottingham. He rents a 200-sq-ft unit on the ground floor to store his bikes and has a separate space upstairs which he uses as an office for the business, which has a turnover of £250,000 a year.